Price reduced! 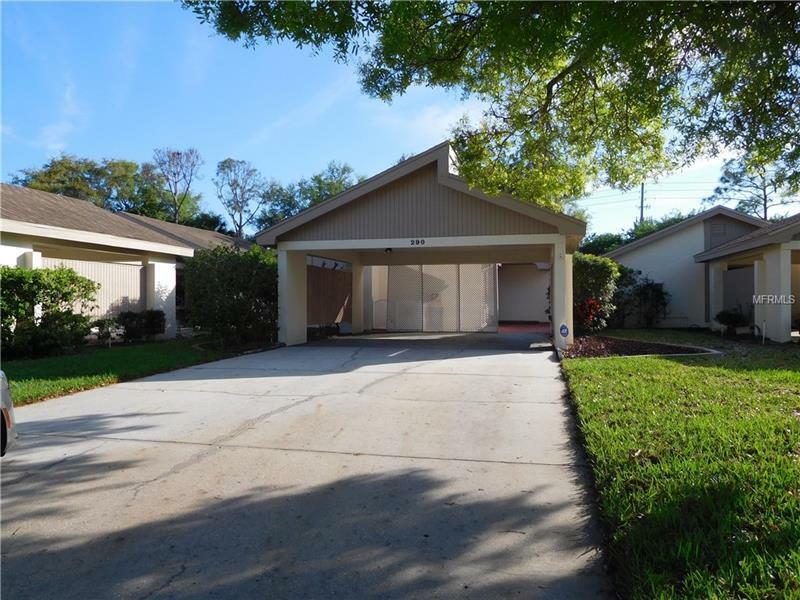 Enjoy carefree country club living in this spacious and immaculate single story villa in a superb Oldsmar location. This well maintained 3 bedroom, 2 bath home is light and bright with vaulted ceilings, thermal energy vinyl windows and multiple solar tube skylights. The kitchen and separate eating area features white cabinets with pullouts and solid surface countertops. Neutral decor with ceramic tile floors in the common areas. All bedrooms feature laminate floors, and have large walk-in closets. Both baths include jetted tubs. Covered 2 car carport and 2 ample storage rooms. East Lake Woodlands is a gated golf course community with easy access to everything! Motivated Seller, so bring your offer!